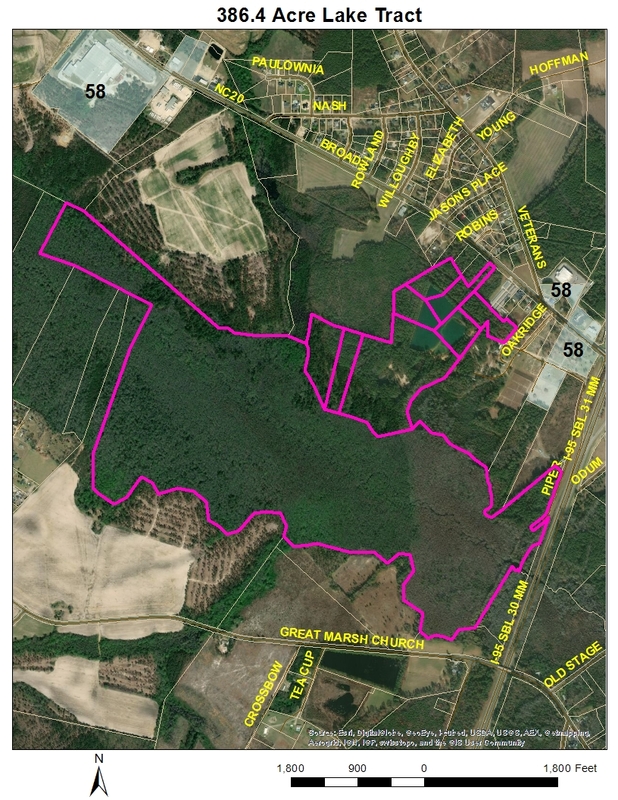 This property consists of 8 parcels, which contains 73.4 acres. These tracts have an entrance point via W Broad St. in St. Pauls, NC. and has an abundance of wild game, including deer, turkey and bear. This woodland tract has some lanes cut out for deer.